by RyotMan Posted 25th Aug 2018 at 6:30 PM - Updated 25th Aug 2018 at 7:17 PM by RyotMan : The Polygon info is incorrect and the polygon count is too high for medium and low meshes. 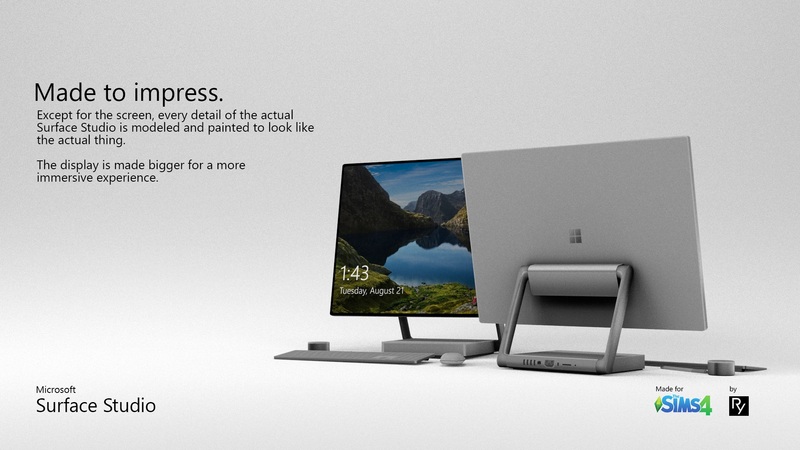 Surface Studio is a device created around you and your thoughtfully designed workspace. 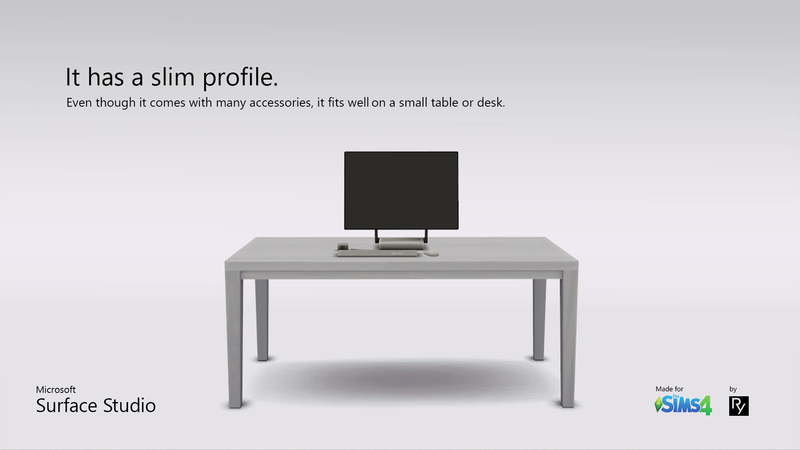 The minimal and modern design sits perfectly on your well thought out desk, with clean lines and a small footprint. 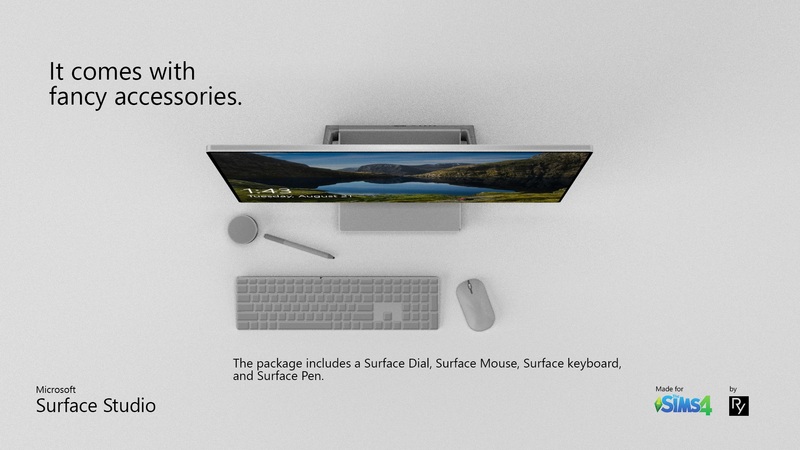 The package includes the Surface Dial, the Surface Pen, the Surface Keyboard, and the Surface Mouse. - Updated the spec texture to enhance material shine. The item is listed under Electronics > Computers. 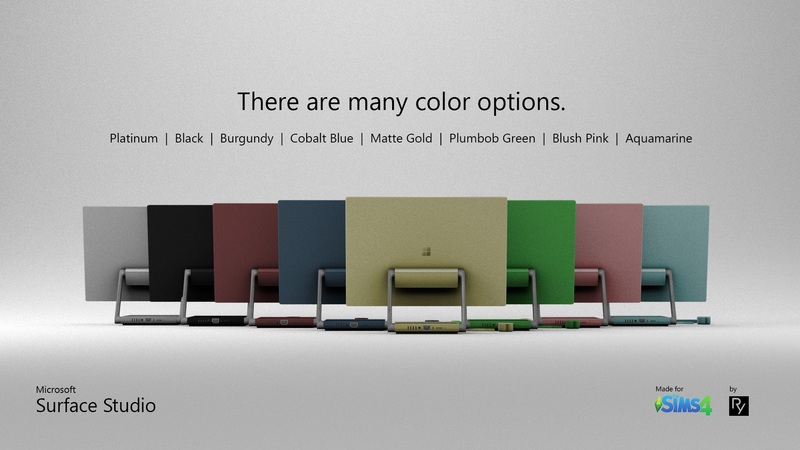 The accessories that come with the Computer are modeled altogether. It means that they are not individual objects, rather they are placed together with the computer in-game. I do not own any rights to any of the intellectual properties used except for my own logo. Polygon count may be too high for some users. Please use at your own risk. 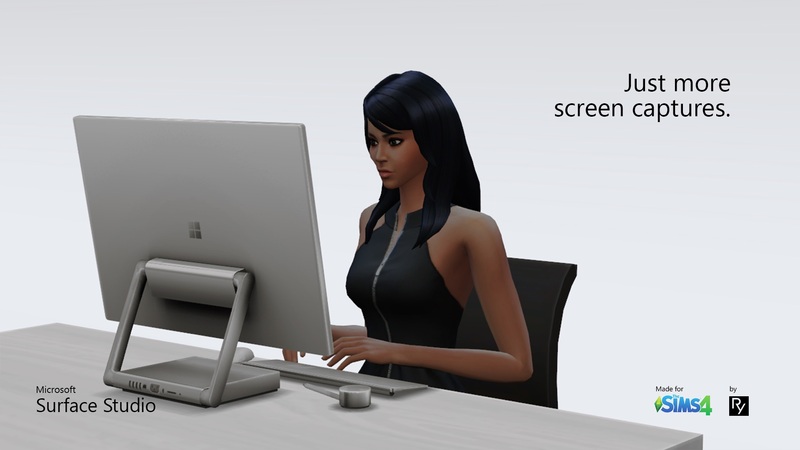 I credit The Sims 4 Studio for the creation of this object. 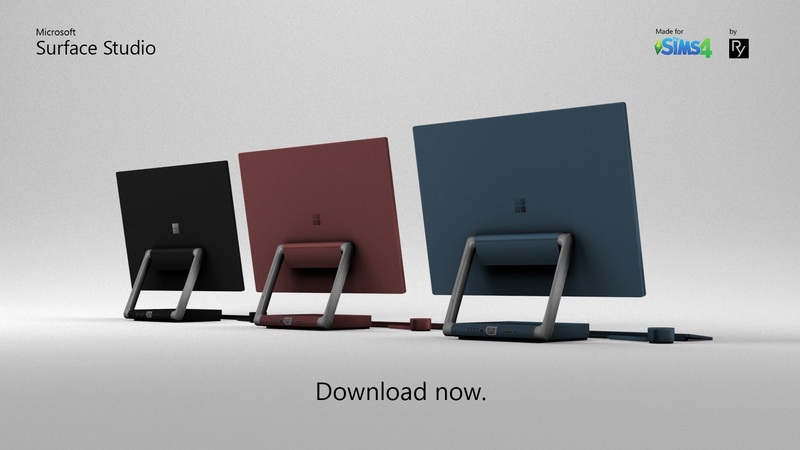 Surface Studio.zip | Description: The Microsoft Studio object package. 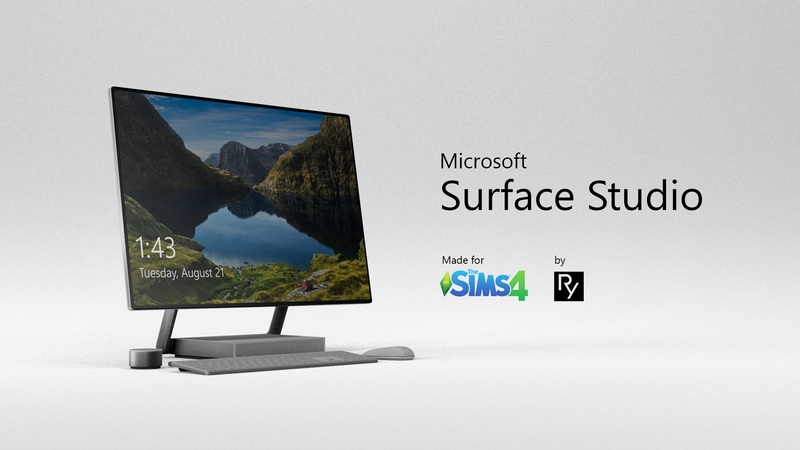 Surface Studio V1.3.zip | Description: Updated the spec texture to enhance material shine.